This is the first authoritative English-language reference work expressly dedicated to early Christian art and archaeology. Although the hefty $495 price tag will keep it off popular best-seller lists, the EEECAA belongs on the shelf of every college and university library. Happily, the EEECAA’s 1,455 entries span the entire alphabet, from “Aachen” to “Zurzach.” The entries are intended to be concise and accessible, although there are long, multisection entries devoted to key topics such as “Architecture,” “Epigraphy,” “Mosaics” and “Textiles.” The longest entry by far is “Treasure,” with a general entry and 35 others, each devoted to a different hoard of silver, gold, coins, jewelry, etc. Some very short entries on topics such as “Satan” and “Mary Magdalene” simply note their significance to early Christian art. Particularly welcome are the countless entries on archaeological sites, including many in heretofore neglected areas such as the Balkans. Finney also took pains to invite contributions from native scholars from these areas. Generous bibliographies after each entry direct readers to more specialized works. The entries, often with black and white illustrations, take up the first two volumes. The third volume contains extraordinarily fine color plates, 22 maps and an alphabetical index of places mentioned in the text with their map coordinates. With its vivid images, the third volume offers the pleasures of a sumptuous coffee-table book, but I would like to use them here as an entry into some of the EEECAA’s distinguishing features. The plates cover the entire chronological range of the encyclopedia’s timeframe for Late Antiquity—200 C.E. to approximately 650 C.E. That this extends into the early Islamic period (beginning in 622) may come as a surprise; scholars, however, have been pushing Late Antiquity ever deeper into the seventh century, with many of the opinion that early Islam also “counts” as an aspect of late classical civilization. Consequently, alongside some relatively familiar third-century catacomb frescoes such as the Adoration of the Magi from the Priscilla Catacombs in Rome,* readers will encounter the astonishing, almost psychedelic, wall paintings from the late sixth- or early seventh-century church of the Red Monastery near Sohag in Upper Egypt. Notably, the three pages of plates devoted to the restored walls of the Red Monastery characterize the coverage of recent discoveries that the EEECAA achieves. 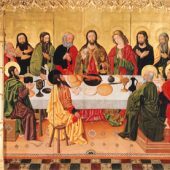 In fact, in the May 11, 2017, New York Review of Books, Peter Brown, one of the scholars most responsible for pushing Late Antiquity ever later, devoted a long article to the Red Monastery and to the Ethiopian Garima Gospels—another recent African entry into the pantheon of early Christian art that is also illustrated in the EEECAA. Recent carbon-14 testing radically redated the Garima Gospels from the Middle Ages to the fifth/sixth century, thereby making them possibly the oldest complete illustrated Christian manuscripts. In addition to Egypt and Ethiopia, early Christianity’s broad geographical extent is highlighted in the EEECAA by plates from more than 25 countries. One of these, Syria, was a cradle of early Christianity, while today war ravages its citizens and threatens its cultural patrimony. We can only hope that someday visitors will admire in person—and not just in the EEECAA’s illustrations—masterpieces such as the Rivers of Paradise mosaics in the Aleppo Museum; unique female musicians playing the organ, lyre, double flute and musical bowls on the Miriamin mosaics in the Hama Archaeological Museum; and the complex mosaic floor at Tayibat al-Imam, near Hama, Syria. Of course, industrialization is likely to destroy more precious ancient treasures than war, as evident in the EEECAA’s three plates of vivid wall paintings from the Karm al-Ahbariyye church near Alexandria, Egypt. This church was obliterated by bulldozers constructing an airfield. Inevitably, glitches will afflict even the most closely supervised enterprise. The EEECAA’s 50-year gestation period may account for the inconsistent cross-referencing and missing map references. Too many entries provide only an ancient Roman or regional location for a site, forgetting that not everyone will know that Mérida “in Lusitania” is in modern-day Spain or that Tomarza, “a village in Cappadocia,” is today in Turkey. Not all the labels below the gorgeous plates in Volume 3 supply dates. As promised in the preface, academic jargon is held to a minimum, and there is a selective glossary. Nevertheless, beginners will struggle when an entry uses a technical term like mensa with neither a definition nor a cross-reference arrow to the “Mensa” entry. Some important topics receive short shrift. For example, one can look up “Rivers of Paradise,” but not “Paradise” (or Eden), even though Paradise figured prominently in both early Christian theology and iconography. Shorter entries, many provided by Finney himself, can come across as incomplete, possibly because a contributor failed to send in a promised entry and Finney had to fill the void. Nevertheless, the problems with labeling and cross-listing do not detract from the substantive material. The Eerdmans Encyclopedia of Early Christian Art and Archaeology will be an essential and authoritative source for scholars, students and interested browsers for years to come. 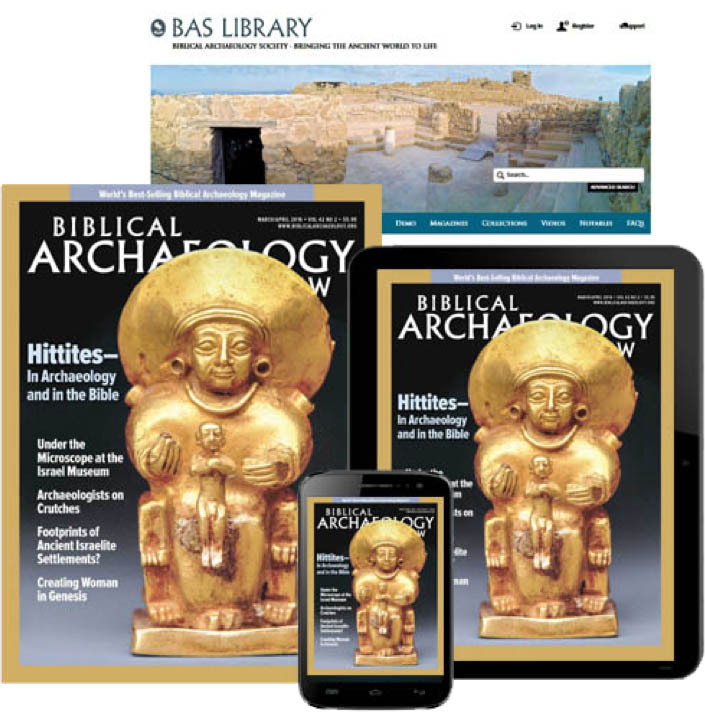 A brief post-script: BAR readers will likely be aware that an up-to-date encyclopedia devoted to early Christian art and archaeology will of necessity contain useful information about the Jewish and pagan matrices within which Christianity evolved (e.g., Jewish ones include “Ark of the Covenant,” “Synagogue” and “Jewish Art,” and pagan ones include “Artemis,” “Athens” and “Philosopher”). And, finally, BAR readers might enjoy knowing that BAR appears in the abbreviations list and at least a dozen BAR contributors provided entries, among them Shimon Dar, Robin Jensen, Jodi Magness, Carol Meyers and Yoram Tsafrir. Mary Joan Winn Leith is Professor of Religious Studies and Department Chair at Stonehill College in Easton, Massachusetts, where she has been teaching since 1993. She has participated in archaeological excavations in Egypt, Tunisia, Syria and Jordan.